In 2003, after having published nine books and audio learning sets on psychic healing, auras, chakras, and metaphysical concepts of energy, I left my career to return to college. I made this decision after two years of self-directed study into many of the metaphysical and paranormal ideas I had based my career upon, and while leaving those ideas behind was very frightening and painful, it was a valuable learning experience (this is a joke you will understand further down the page). I returned to college to study the social sciences (sociology, psychology, economics, history, and anthropology) because I wanted to understand what had happened in my own life, but also how spiritual beliefs are formed, how ideas are created and change over time, how social movements arise and decay, how groups create their own reality, and so on … you know, simple stuff like that. I graduated with a degree in Social Science in 2006. Though I focused on the sociology of work & occupations, the sociology of cults & high-control groups, the sociology of murder and criminology, and career testing & guidance (okay, I’ve got a lot of interests), I also studied religions and the New Age when I could. I am no longer working with paranormal or metaphysical ideas, though I continue to study them through the lenses of anthropology, sociology, history, neurology, and social and cognitive psychology. While I am agnostic* about whether any paranormal, spiritual, religious, or metaphysical concepts actually exist, I know that I personally am not a psychic, and that there was nothing metaphysical or paranormal about what I did in my previous healing career. Some of my atheist friends think agnosticism is a lily-livered kind of fence-sitting, where you’re trying to keep all your options open just in case there’s hell in the offing. I say Hah! to that as well. I didn’t choose agnosticism because I’m afraid; I chose it because I’m willing to be surprised. What I understand now after all this time is how culture formed my career as a psychic healer, but also how my natural abilities formed the core of my work. Through empathy, I was able to create a full-fledged psychic career, not because I was tricking anyone, but because I can read emotions, gestures, undercurrent, body language, and intent. I’ve also been through intense trauma in my life, and because of that, I’m able to understand things about emotions and the human condition that many people don’t understand at all. The work I did wasn’t about magically reading the future or past lives; rather, it was a form of peer counseling based upon my own understanding of how to rebuild a life after extreme trauma. For instance, my work with auras was focused upon teaching people who had been brutalized in childhood how to create a tangible, felt sense of protection and privacy around themselves. 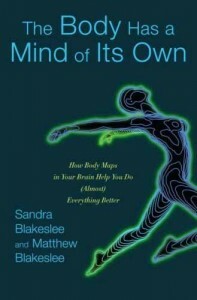 Thankfully, I now understand the aura to be a neurologically mapped area called the peripersonal space (see the excellent book The Body Has a Mind of Its Own), and I’ve updated my work in The Language of Emotions so that readers can continue to learn how to set effective interpersonal boundaries. It’s really wonderful to have discovered the neurological and physical mapping processes that create the felt-sense of an aura around us, because it’s such a helpful concept! My work with chakras was a way to help confused and traumatized people utilize their imaginal skills to access (or more likely, re-integrate) information about multiple aspects of their personalities (each of the chakras, if you don’t know this, is thought to relate to a different aspect of the self). My work with grounding was a way to help dissociated people re-associate and calm themselves, and my work with disembodied spirits was a way to help people who saw or felt them to gain some measure of control over their lives. Though these approaches were admittedly unconventional, they did help me and others heal from the damage we sustained in our early childhood traumas. I’m glad I spent my early years in the New Age community, because I honestly don’t think I would have become well within the conventional psychological or medical models that were available in my early life. Now, however, there is worthwhile conventional help available to trauma survivors and sufferers of depression, and I’m no longer interested in championing metaphysical and paranormal alternatives. I’m glad I was a part of the New Age, and I’m also grateful I left, because what I’ve discovered in my studies – about the brain, the social world, belief structures, group dynamics, memory, certainty (and other illusions), cognitive errors, the need for protective magic, the seductive nature of authority, and the social phenomenon of healing – has fascinated me. I look forward to continuing my education as an al fresco academic (that’s a studious person who can’t afford grad school). 2013 update: Affordable or not, I’m now in grad school getting my master’s in Education and focusing on creating new empathy and social interaction curriculum for people on the Autism Spectrum (and other neurologically diverse people). 2015 update: I’m now Karla McLaren, M.Ed.! My master’s thesis focuses on autism and enforced normalization training, and my degree is in Curriculum and Learning with a concentration in Linguistic Anthropology. When people approach me about what some have incorrectly termed my “conversion” to critical thinking and science, they seem to be looking for some evidence of a crisis of faith. But it was never a crisis of faith; it was always a crisis of conscience. As a healer, I specialized in working with survivors of severe dissociative trauma, and I knocked myself out trying to help these already-injured people feel safe, cared-for, and protected. Therefore, I was always studying different modalities and healing approaches, and learning about the many questionable (and oftentimes troubling) alternative healing practices that were being offered to trauma survivors. And here we arrive at the crux of the matter, and the central reason I left the New Age behind: With its time-honored “no-judgment” rule firmly in place, there is simply no formal way to test, question, or bring full critical faculties to what is offered in the New Age. And that’s not okay. I became a healer because I wanted to help, and because I didn’t want to see people suffer. But I saw plenty of suffering in the New Age as people chased after the magical promises that come so fast, and so continuously. And because there is no formal mechanism for questioning or for consumer protection in the New Age, no one was ever held accountable when things failed to work … and I got really tired of watching it happen over and over and over again. I also got tired of hearing these failures referred to as “valuable learning experiences.” I was working with people who had been traumatized and who were sometimes struggling through a kind of waking nightmare, and everywhere they turned, magical promises were being lobbed at them. They were wasting time, energy, and money on empty promises. That’s a hell of a lot of learning experiences. As I searched for responsible information about all of the endless healing modalities, gurus, cures, diets, tinctures, meditation techniques, workshops, and herbs, I found a surprising thing. Because there is no mechanism for consumer protection in the New Age, an entire subculture arose to do it for us. I discovered the work of the skeptical community, and though I was put off by a great deal of the tone and behavior I found there, I’ve done enough shadow work (see my posts on the shadow here, here, and here) to know that what enrages and offends you is often the thing you most need to understand. Though the skeptical movement was new to me, skepticism wasn’t. Since I was a child, I had questioned New Age and metaphysical ideas*, but that didn’t make me unusual. Humans question things, no matter where they are. The stereotype of the completely unwitting, undiscerning New Age dupe is fictional. In the New Age culture, people can and do think, discern, make decisions, and root out false promises in their midst. Questioning ideas from inside the New Age – it’s not that unusual. Just because there’s no formal mechanism for questioning doesn’t mean that New Age people are incapable of questioning. *Definitions for clarity: Spirituality is widely defined as anything that involves religion, deities, the afterlife, or the “other world.” The New Age refers to an entire spiritual movement that first arose in the late 1800s, and includes splinter Christian beliefs such as Christian Science, Religious Science, Science of Mind, and Unity – and splinter Eastern philosophies such as Theosophy, Anthroposophy, Western Buddhism, Transcendental Meditation, and so forth (some people also place Jungian and Reichian psychotherapies in the New Age category). Metaphysics is a subset of New Age philosophy that encompasses belief in the aura, chakras, chi or prana energy, psychic abilities, astrology, spirit guides, extraterrestrial beings, and cosmic energies that can influence humans or contribute to their healing. However, while any insider can (informally) question New Age ideas up to a point, when I began to question my own work as a metaphysical author and spiritual healer – and I mean really question my work down to its historical and theoretical foundations – I was alone. Completely alone. I had no peers, no role models, no mentors, and absolutely no one to talk to about the startling information I continually uncovered in my reading of the literature (in skepticism, history, sociology, anthropology, neurology, biology, physics, chemistry, behavioral economics, and psychology). Despair, despondence, and the sense that I might be losing my mind – these states don’t even begin to describe the experience. Yet from October, 2001 to the time I ended my career in late 2003, I somehow soldiered onward – with equal amounts of horror and grim determination – to understand just how many questionable ideas and mistaken assumptions I had ingested. It was a brutal, awful time, and if you understand cognitive dissonance, you’ll know why. It is so difficult to accept that we might have been wrong that some people never, ever do it. No matter what. Let me say this: I totally get those people! Learning that I had been wrong was a gruesome thing, but that wasn’t the only problem. One of the saddest aspects of ending my career was that – because I had seen so much trouble in the New Age culture (cults, unstable spiritual teachers, health scams, extreme diets, etc. ), I was actually trying to make things better with my own series of books and tapes. I truly thought that I could write to the center of the trouble in the New Age and metaphysical movements. I thought I could help people retain what was true and valuable in the New Age and separate out the rest. I know I was thinking to myself: If I can just write well enough … if I can just present models that will help people think clearly … if I can just help people find safe resources … if I can just…. I was certainly being naïve, but I was also being like Sisyphus of the Greek myth, endlessly pushing a rock up a hill, only to watch it roll back down every time I got to the top. Never stopping, never looking up – just pushing, pushing, and telling myself that the pushing was somehow meaningful in the larger scheme of things. Though I meant well and was honestly trying to help and protect people, I finally saw that I was doing no lasting good. The ideas of the New Age are interesting, but they unfortunately exist within a framework that can invite all sorts of confusing and even damaging information into people’s lives. Though I realized that people need to be responsible for themselves, and that I didn’t hold a hypnotic sway over my readers, my concerns were intensified because I knew my audience. I knew that many people in the New Age were there because they were in pain, because they didn’t fit in, or because they hadn’t been able to find help or comfort anywhere else. Many people in the New Age are just fine, but there is a significant percentage of the population that is in pain, highly sensitive, and highly susceptible to suggestion and harm. However, since the conventional world had already failed them, they were unlikely to return to it. The New Age was the only support they had. Additionally, people in pain are particularly susceptible to magical promises of hope and healing. These promises come fast and furious in the New Age; without exaggerating, I can say that new promises and cures arise (or old ones are modified) on a monthly basis. No matter what the illness or condition, there is always some magical curative just around the corner – like new Andean spirulina, secret Native cures, new African healers, pyramid hats, magic water, new Reiki that’s totally different from the old Reiki because it’s channeled by dolphins, herbal hormones, trips to newly discovered sacred sites (sacredness picks up and moves every couple of years, apparently), new and longer meditation workshops, shamanic healings, miracle vitamins, miracle herbs, or an appointment with the Dalai Lama’s personal physician. Until I stopped using all of my magical cures to see what would happen (nothing happened), it was almost impossible to understand what a merry-go-round I had been on. I mean, it’s hard to leave all these promises behind, because what if the next one works? Especially when people that you trust absolutely swear by this new healing or herb or whatever. Why not try it? It could be a valuable learning experience, right? As I looked around me, I saw that the New Age almost invariably taught people – most especially women – to become more susceptible, more gullible, and less able to identify faulty assumptions, false hopes, and cognitive errors. I was deeply concerned that so many good, caring people in the middle class (and the intelligentsia) were paying cash money to learn to think less and to question less. I realized that I was supporting a culture that had no checks or balances and almost no way to speak truth to power. This was completely unacceptable to me. So in 2003, I ended my healing career, canceled my book contracts, pulled down my website, applied to college, and left my entire life behind. But before I did that, I wrote an essay to the skeptical community and shared my concerns about the troubling tone I found in so much of the skeptical literature (Bridging the Chasm Between Two Cultures). It appeared in the May, 2004 issue of Skeptical Inquirer and took on a life of its own. Reformed sinner, apostate exemplar, and circus pony … hello! I wrote my essay for the Skeptical Inquirer because I discovered a really serious problem: If people in the New Age try to seek out critical or skeptical information (if they even know such information exists) most of them will be completely turned off by its often offensive, condescending, and polarizing tone – which means that, even if they do reach out, they’ll still be completely unprotected in the face of misinformation, unverified healing modalities, and outright deception. So before I left everything behind, I wrote Bridging the Chasm. As I look at it now, I see that I unconsciously adopted the style of Shakespeare’s “Friend, Romans, countrymen…” speech, where I came in under the defenses of the skeptical community, called myself out as their vanquished foe, and told them why I agreed with them. However, I then gently but persistently asked them why they were such complete failures at communicating their concerns to people in my culture. The response was amazing. I only got one crank letter (this was not posted on the internet, where the responses would have been wildly cranky, and pointlessly so), and the rest were from smart people who not only could take a punch, but actually suggested that I hit a little harder next time. It was so cool to write for people who weren’t thin-skinned, because my experience of writing dissent material for the New Age reader was that I had to be so careful that I almost couldn’t write at all. If you don’t know this, judgment, argument, and conflict are not acceptable in most New Age circles. You just don’t do it, and you especially don’t question received spiritual wisdom. I’m astonished that I got away with the amount of challenging stuff I wrote in my New Age career! So when I wrote my piece for that skeptical mag, it was nice to take off the gloves somewhat, say some very challenging things, and then have readers take the challenge and run with it. It was fun to have people actually ask to be argued with and challenged! I also met some very smart and dear skeptical friends who agree that the skeptical approach really doesn’t translate very well – and I met skeptics who understand that you can be skeptical and be a spiritual or religious person at the same time. For instance, I certainly was a skeptic in all of my books and tapes, and a dissenter from many New Age tenets. Check out my work on the importance of judgment, which was – and still is – total heresy. And I think I was the only person in the New Age connecting traumatic dissociation and entry into the New Age (which seems to inadvertently select for people who have dissociative tendencies), or talking about the irreplaceable necessity of emotions in every aspect of life (in the New Age of my youth, emotions were essentially pathologized – they were seen as the opposite of spirituality and therefore were to be ignored, manipulated, or demonized). I hadn’t walked the line with New Age ideas, and I hadn’t been anyone’s mouthpiece. The cool skeptics I met did not look down on me for an instant, though some of them had to do some mental calisthenics to fit me into their worldviews. Bully for them that they did so. I was very glad to be welcomed by the skeptical community, but I didn’t find a way to be comfortable in the straight-up skeptical world. I wasn’t able to adapt to a number of the social rules that define membership there. For instance, in many cases, arguing is pretty much the focus of skeptical discourse. For the most part, research doesn’t happen there, but arguing about research does. And a lot of times, it’s surprisingly untutored arguing amongst people who haven’t got degrees or work experience in the subject at hand. So it’s kind of like a fantasy football league of science fanboys — and it gets completely out of hand. I mean, I was a big D&D sci-fi geekgirl in my youth, so I get the feel of it, but huh. Back in 2004, I was in a skeptical e-mail group where the arguing got so absurd that you’d think it was a Monty Python skit or something. It was like watching screwed-up computers play verbal street hockey until one of them exploded. Oh my word, going from the extremes of New Age non-judgmentalism to the extremes of argumentativeness in the skeptical world was too much for me! Banishing judgment is a terrible idea, but too much argument is exhausting, and I began to wonder if the people who enjoy it have problems processing emotions competently. These people who love to argue don’t seem very sensitive to me, but the arguing may just be a cover for emotions they don’t know how to deal with. I don’t know. But I do know that there’s as much trouble in the skeptical culture as there is in the New Age culture. It’s a different kind of trouble, but it’s trouble nevertheless, and I don’t need more trouble, thanks. I also didn’t enjoy being celebrated as a reformed sinner who finally became intelligent when she threw off the yoke of spiritual belief, or some such nonsense. I’m happy to be a skeptical person, but I don’t need a card and a coffee mug that brand me as a certified Skeptic™. I prefer hanging out with my smart, sensitive, emotionally aware, skeptical, and artistic friends who don’t like to argue merely for the sake of arguing. I’m glad I was a part of both cultures, but now, as a person with no country, I look at these cultures from the outside and ask why? Why can’t they see the similarity of their wants and needs? They both want to educate, protect, and support people in their quest to find meaning – so why do they engage in a feud that has proven beyond a shadow of a doubt to prevent meaningful dialogue? Certainly, both sides want to be proven right, and both sides want to win, but isn’t that how wars start? I expect ignorant, insensitive, and power-mad people to engage in futile combative behaviors, but if people want to be seen as spiritual or as critical thinkers, they need to stretch themselves and become more than tiresome, culturally constructed stereotypes. I am personally invested in these issues, because my journey was made infinitely more harrowing by the chasm that exists between the New Age and skeptical cultures. As I wrote in my essay for the Skeptical Inquirer, in my early visits to skeptical sites, I didn’t feel like a free and unfettered reader. I felt in turns like a gullible fool or a traitor, and that’s not helpful for anyone. People in spiritual, religious, and metaphysical cultures need to be able to access competent research on the thousands of things they are being taught, sold, and urged to believe – and they need to be able to perform their research without being insulted, or feeling as if they’re betraying their cultures, their souls, or their gods. The internal experience of cognitive dissonance is plenty bad enough; but to pick up skeptical books or land on skeptical sites and find condescension and cultural insensitivity (and sometimes even name-calling) when you’re just trying to do research? Yow. Epic, epic fail. The schism between these two cultures certainly hobbles all of us, but it also has the demoralizing effect of making people in both cultures feel hopeless and despairing about people in the other. Some vocal skeptics seem to think that New Age people are reality refuseniks or deliberate frauds who are incapable of rational or practical thought – just as some vocal New Agers seem to think that skeptics are rage-filled, godless reductionists who are incapable of respectful or empathetic communication. These prejudices help all of us treat each other in insensitive and inhumane ways, and that’s unacceptable. As we can clearly see in every other fight except our own, us-versus-them thinking isn’t any kind of thinking at all. When I originally left my career, I imagined that I might build a bridge between these two cultures, because it’s so clear that each one has a piece the other lacks. I thought that everyone would thank me for pointing this out. Hah! Cough, choke, ackkk!!! Now I think that if I ever did manage to build a bridge between these two warring factions, one side or the other would continually try to tear it (and me) down. And even if I managed to make the bridge strong enough, walking across that bridge would require cultural shifts that I don’t think people want to make. It’s easier to gather a group of like-minded people around you and point your fingers at the “other.” It’s easier to create moral panics about the atheist agenda or the religion-caused death of reason. It’s easier to be a hyper-opinionated tool of your cultural prejudices than it is to be a reasoned and compassionate human being. 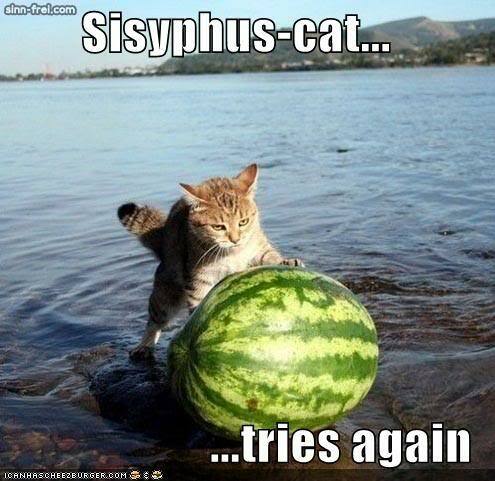 And this makes my idea of bridge-building a pretty futile one. 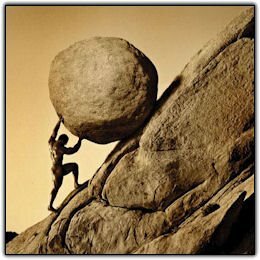 In my New Age career, I had already spent decades rolling the rock uphill in futility; it wasn’t any fun. I don’t want to spend any more time on that tedious rock pile, so I’ve headed out on my own journey. Now, I am focusing on what does work. I had the great good fortune to work with two of my professors on research projects and books, and oh my word, research is the most fabulous thing ever. You don’t just stand around pontificating, or taking other people’s word for things. You work and think, and think and work, and challenge yourself, and open your mind, and you get to do and read some of the most amazing things! I mean, stuff that is so much more fascinating than anything I’ve ever seen or heard before. It’s just so cool to get your hands on real research. Oh my! And top-notch researchers, top-notch scientists, are not smarty pants know-it-alls. No. Great researchers are adventurers, and visionaries, and astonishingly humble people, because they have to be able to balance their knowledge and expertise with the information that comes from the world they are studying. They have to be able to change their minds when the data disconfirm their cherished opinions. Genius! Great researchers are now my model for how to be an exemplary human being, because they are smart enough to do the work required to question the universe, yet humble enough to listen to the answers they get. They’re also smart enough to stay connected with others in their field, and in far-reaching fields, so that their dataset is constantly changing and being challenged. In top-notch researchers and thinkers, the ability to tolerate cognitive dissonance is a sort of prerequisite. I like that. I respect that. I want to emulate that. I call these idealized researchers a model, because as you can imagine, scientists can be just as unethical, myopic, egocentric, power mad, and wonky as anyone else. They can be jealous of others, married to cherished ideas, unaware of their biases and standpoints, confused by data they don’t understand or can’t accept, isolated by their own sense of importance, hypnotized by fame, money, or power, or stuck in the morass of bureaucracy and petty infighting that occurs in academia. But even though there are tremendous obstacles in their way, we have been blessed with brilliant researchers and scientists who have helped us know more about ourselves, our world, and the universe. The tools of scientific research are kind of miraculous, considering how prone to mistakes, prejudice, bias, stubbornness, and outright error we humans and our brains can be. That’s a good question, and my answer is: research and storytelling. I had been careful about telling the story of my transition away from metaphysical and supernatural thinking, because I didn’t agree with the assumptions many people have about what such stories are for. In sociology, these stories have a name: apostate atrocity tales. The idea is that I’m supposed to be coming at this process with a fiery kind of anger, where I attempt to destroy the New Age because I know from the inside where the bodies are buried. But that idea is both naïve and annoying. My sociological and anthropological training really helped me understand the power of culture, and especially the almost overwhelming power of the gigantic, multi-tentacled behemoth called the New Age. I, one person, don’t have the power to effect much change, and when I consider the deep troubles we’re all facing, I can totally understand why the New Age exists and thrives. I’m sorry when frightening or injurious things happen in the New Age and alternative medicine, and I’m sad when people waste their time and money on promises that have little to no validity. But I totally understand the powerful, seductive pull of all those promises. So I’m in a very Taoist place about all of it (Taoism, if you don’t know this, tends to be a kind of formalized ambivalence). Very perhaps … perhaps I’m glad to be out of the New Age, because after more than 30 years, and after getting to the top of the mountain, I saw enough to know that there was nothing there for me. I no longer wanted to cling to a dream, or to support a group of ideologies that were not worthy of the wonderful people who were drawn to them. But perhaps I also see the need for the New Age. Organized religion has lost its meaning for many people; it has let people down and chased them into alternative belief systems (because something still feels necessary). The spiritual feeling is an inborn longing for many of us, and it’s not going away. And to be honest, alternative spirituality seems less odious than traditional religions in many ways, because people get to pick and choose spiritual traditions for themselves, rather than having to prostrate themselves to conventional religions that espouse so many rigid, outdated, intolerant, and injurious ideas. I see the purpose of the New Age, and I see it as an evolutionary process of sorts. I don’t need to destroy it. I also don’t need to destroy the Skeptical™ culture, though I’m saddened and frustrated by the continued tonal inaccessibility of their information. I don’t need to destroy anyone, especially since many of my favorite people hang out in both of these places; I just need to do my own thing and continue to question everything, including the process of questioning itself. I also don’t want to get trapped by looking at the fight between skeptics and New Agers as if it is somehow unique. It isn’t. Us-versus-them fights happen everywhere we look, and the fights (no matter which us is against which them) nearly always guarantee that effectiveness, compassion, empathy, reason, and common sense will not prevail. I want to understand, through research and storytelling, how and why polarization occurs, and how it can be avoided or alleviated. And so, with this lengthy introduction, I link you to a series of essays called Missing the Solstice ~and~ Discovering the World, which I referenced in the notes for my book, The Language of Emotions. These essays are the story of my separation from metaphysical, paranormal, and New Age ideas and my subsequent education in the social sciences. When The Language of Emotions came out in mid-2010, my publicist asked me to keep this aspect of my story on the quiet side, because it seemed to detract from my work on emotions. I agreed. It’s an involved story, and it was better to keep it separate. However, people have asked to see these essays, so I created a separate blog for them. In sharing my transition away from paranormal, supernatural, and metaphysical thinking, I am not beating a drum or proselytizing for reason uber alles. I’m not creating a new us so that we can all be aligned against a new them. Instead, I’m hoping to provide a kind of camaraderie for people who, like me, have made a sea change in their lives and left their communities and their cultures behind.